iHeartMedia has announced that the U.S. Bankruptcy Court for the Southern District of Texas has confirmed the company's Plan of Reorganization. The company expects to complete its restructuring process in the first half of 2019. Following iHM's completion of the restructuring process, Chairman/CEO Bob Pittman and President, EO and CFO Rich Bressler will remain in their respective roles, and have extended their contracts by four years. Under the terms of the Plan, iHeartMedia will complete a comprehensive balance sheet restructuring that will reduce its debt from $16.1 billion to $5.75 billion and will separate Clear Channel Outdoor Holdings, Inc. from iHeartMedia, creating two independent public companies. 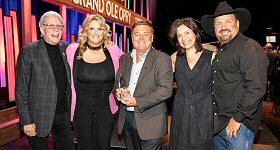 "iHeartMedia is America's number one audio company, with unparalleled multi-platform capabilities across broadcast radio, podcasts, influencers, live events, social marketing, digital and data that uniquely serve the needs of digital and traditional marketers and a consumer reach in the U.S. greater than any other media outlet," said Pittman. "We are delighted to reach this significant milestone in our restructuring process, which will give us a new capital structure that matches the strong operating performance of our business. iHeartMedia's unique place in the advertising world perfectly positions us to take advantage of the renaissance underway in audio." "Our ability to advance through the restructuring process this smoothly is a testament to both the strength of our operating business and the strong support of our stakeholders, including our debtholders who will become our owners, our advertising partners and our operating team," continued Pittman. "We have accomplished so much in the past several months alone - from major acquisitions such as HowStuffWorks, which has firmly positioned the company as the #1 commercial podcast publisher globally, and Jelli, the pioneering technology foundation for the data-infused programmatic buying and selling of broadcast radio, to the continued development and implementation of transformative new technology. We will continue to work together to invest in and grow our innovative and exciting services, cutting-edge products and great programming for decades to come." With the confirmation of the Plan, the Company expects the Chapter 11 process to be completely finished within the first half of 2019, subject to completion of certain steps related to the separation of Clear Channel Outdoor Holdings Inc., FCC registration and satisfaction of other customary conditions.